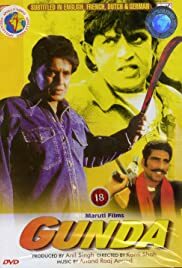 When a coolie's family is murdered by a group of gangsters and politicians, he swears revenge on them. Bulla: [Repeated line] My name is Bulla - and I keep it open. Q: Does Shankar work at the airport or the shipyard? Awesome!! Watch it to believe it!! Undoubtedly, its the most crafted movie of all times. Kanti Shah and Mithun Da have outdone themselves once more. Enjoi!! 89 of 106 people found this review helpful. Was this review helpful to you?